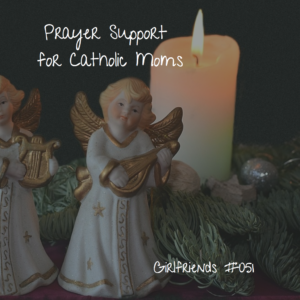 In this special episode, I chat with Sarah Reinhard and Lisa Hendey about their work on The Catholic Mom’s Prayer Companion: A Book of Daily Reflections. We discuss some of the challenges all women face when it comes to making daily prayer a priority, as well some of the ways those challenges change as our roles change as wives and moms. We share some of our own difficulties this Advent season and ways we are doing our best to encourage and support one another during this busy — but meant to be prayerful — season. I always love any opportunity to connect with Sarah and Lisa, and I hope you will enjoy our conversation. Wishing you an abundance of peace and joy this Christmas! See you soon!